All concerts start playing at 8pm. Please arrive after 7:30pm. Wine and nibbles are served in the interval. In 2019 tickets £15 each, or £50 for 4. To order tickets please contact the gallery by email (info@tincletongallery.com) or phone (01305 848909). 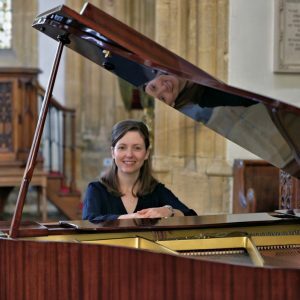 This former winner of the British International Piano Competition for Contemporary Music and last pupil of Benjamin Britten returns from Japan to visit Tincleton for two candlelight concerts with two programmes of great variety. 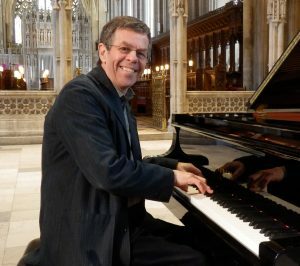 On the Friday well known jazz pianist Mike Denham will duet with Trevor Whiting playing a varied programme inspired by 1920s and 1930s jazz styles. 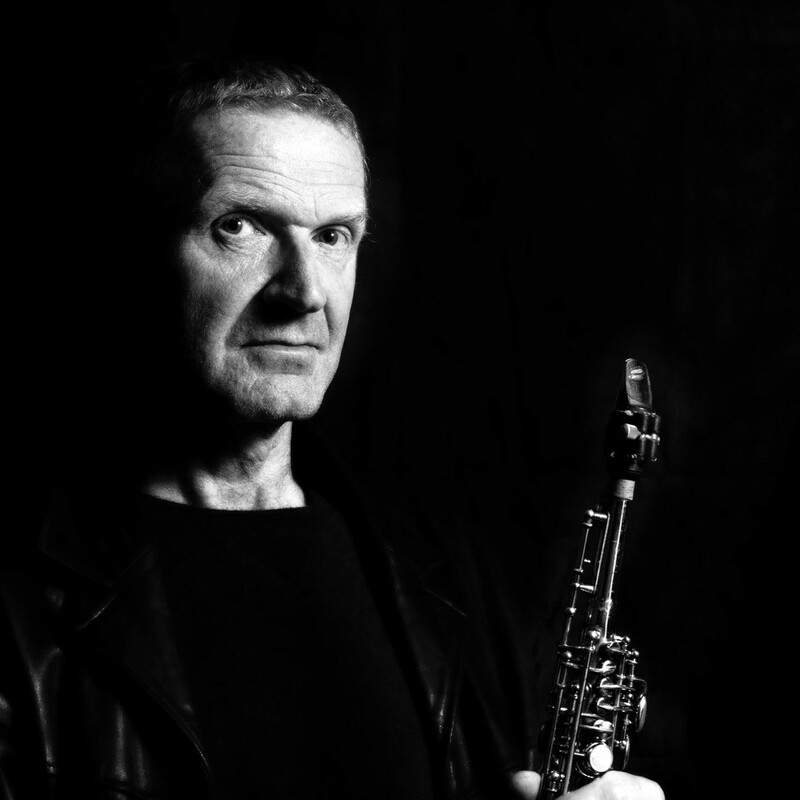 Trevor is one of the UK’s top jazz reed players and plays with many of the UK’s top jazz musicians. He has enjoyed two spells with Chris Barber’s jazz band. 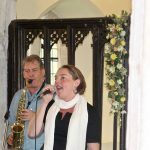 On the Saturday Mike and Trevor will be joined by Ali Whiting for a different programme which will include Ali’s tuneful and expressive vocals and ragtime and swing violin. Bringing together the various strands that have informed John Law’s wide-ranging creative career (“combining the vocabularies of jazz and classical in a singular and seamless way, coalescing improvisational surprise and a deep elegiac musicality” All About Jazz 2011) John will be presenting original solo pieces and fresh, spontaneous versions of tunes from the wide world of jazz. 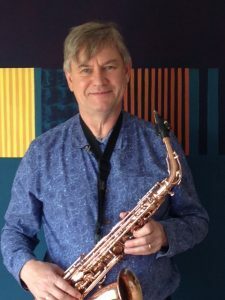 In the second half John will be joined by saxophonist Jon Lloyd, a long-time colleague of his, with whom he has recorded many acclaimed albums. Playing the music of Jan Garbarek and Keith Jarrett, the duo will explore the world where jazz spontaneity and improvisation meet classical sensitivity. Duncan is a well known pianist at Tincleton Gallery with a solid local following. This is his last concert of 2017 playing Brahms, Gade, and Schumann. John Law, solo piano, with special guest Nick Sorensen, on saxophone for Some Of Our Favourite Things…. Two evenings of intimate jazz and classical music, infusing life into beautiful melodies and compositions from these two genres, with the quick-fire, spontaneous creativity of improvisation. 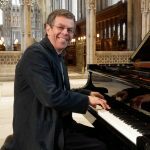 John Law (piano) will be presenting original work of his own, both written and improvised, treading a path between jazz and classical music; music that is both delicate and atmospheric, as well as rhythmic and powerful. John will be joined by saxophonist Nick Sorensen in a spontaneous presentation of tunes from the jazz repertoire, creating new arrangements of well-known tunes on the spur of the moment! 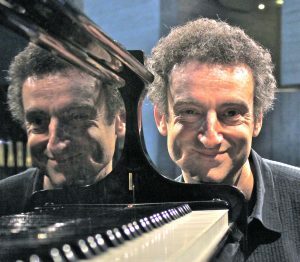 John Law, a prize-winning classical prodigy on piano, turned away from classical piano studies to pursue jazz and improvised music when he was 23 and has been involved in, and acclaimed for, his work in a wide variety of contemporary jazz projects: from solo piano concerts and albums through trio and quartet tours and recordings, right through to large scale works for his semi-classical ensemble Cornucopia. Nick Sorensen is highly regarded in the South West for his fluid, inventive style of saxophone playing. 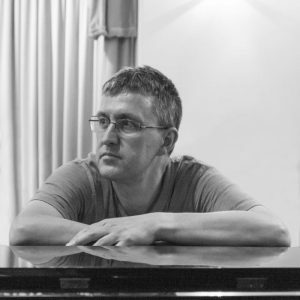 Equally at home in jazz language or freely improvising, Nick is also active in education and is currently Dean of the School of Education at Bath Spa University. Ana Laura Manero, a Venezuelan pianist, magnificent player and Head of Keyboard at Sherborne Girls. This will be Ana’s first concert at Tincleton. Ana Laura Manero is Head of Keyboard and graduated in 2006 from the Royal College of Music, with a scholarship supported by The Man Group and the Gordon Galway Stone Memorial Award. In 2008, she completed the Master’s in Advanced Performance degree with Distinction at the same institution, with the support of the Irene Hanson Scholar and the Gordon Calway Memorial Award and under the musical guidance of Professor John Blakely. She has also been awarded The Elmgrant Trust to participate in the Dartington International Summer School 2010 as a pupil of Stephen Gutman. Ana is currently the co-director of the Latin American Music Festival in Sherborne. As a chamber musician, Ana enjoys an active performance schedule with cellist Arturo Serna. Their ensemble, Duo Teresa Carreño, also champions music from the American continent, as well as masterpieces of the standard repertoire. Together, they have performed extensively in England and Venezuela. Anthony Green taught for years at Trinity College of Music London and his works include seven piano sonatas. He plays BACH Prelude & Fugue in C sharp major BK II., MOZART Fantasia in C minor K475, BEETHOVEN Eroica Variations Op 35, BUSONI Berceuse, GREEN Sonatina No1, LISZT Variation on Bach’s Weinen, Klagen. Pianist Philip Clouts was born in Cape Town, South Africa, and lived in London from an early age. He studied social anthropology at Cambridge University, and jazz at the Guildhall School of Music, London. In addition, he has studied classical music with Michael Shak, and jazz piano with Bheki Mseleku, Howard Riley and Simon Purcell. 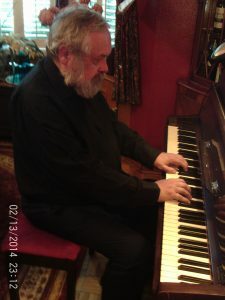 Clouts was a founder member of worldbeat jazz band Zubop, with whom he composed music and played the piano, touring internationally and releasing five CDs. Ron Phelan studied bass in Dublin before moving to the UK. 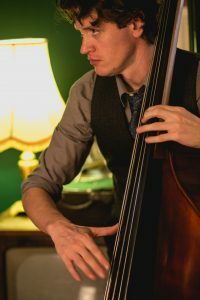 He has worked with some of the best musicians and performers in the country touring both nationally and internationally in projects ranging from jazz ensembles to large scale theatrical productions. He currently lives in the South West of England where he divides his time between performing and composing. Commended by International Piano magazine for the “suave confidence” of his playing, Duncan Honeybourne broadcasts regularly on BBC Radio 3 and radio networks worldwide. Katharine Lam is a professor at the Birmingham Conservatoire and began her career as a soloist with the City of Birmingham Symphony Orchestra at Symphony Hall, Birmingham. 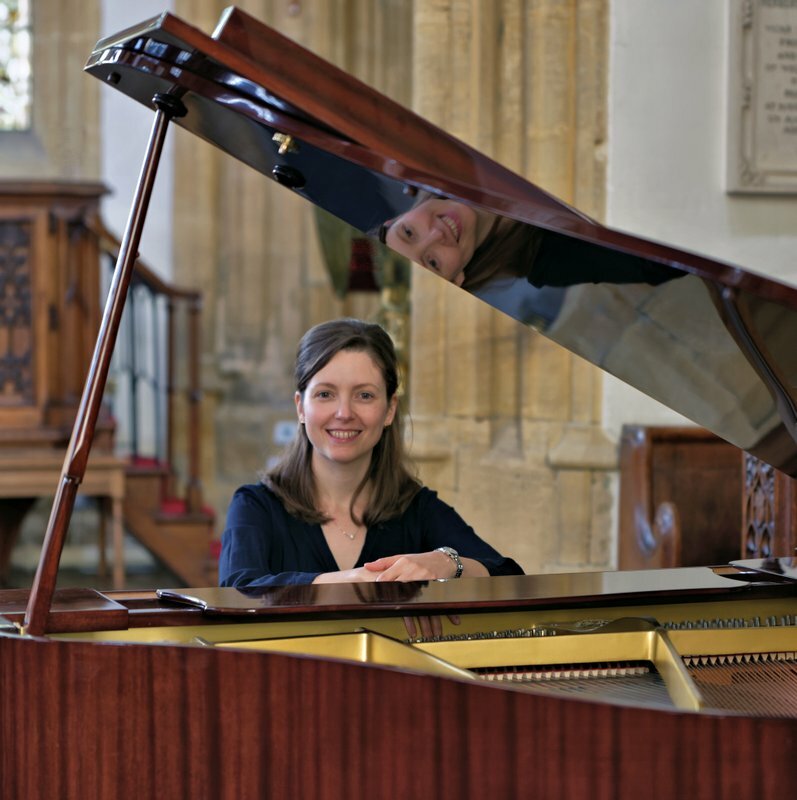 The Lam/Honeybourne Duo has given recitals throughout Britain and in Switzerland; they have been a regular feature of concerts at Tincleton and their programme this year will include Ravel’s Mother Goose Suite. This former winner of the British International Piano Competition for Contemporary Music and last pupil of Benjamin Britten returns from Japan to visit Tincleton for two candlelight concerts with two programmes of great variety. (NOTE: there are changes to the previously advertised programme). A special candlelight concert: MOZART Variations on a Minuet by Duport K573, BEETHOVEN “Tempest” Sonata Op.31 No.2, and the beautiful SCHUBERT Sonata in B flat D960. On Saturday again by candlelight he will play: CHOPIN 12 Etudes Op.10, RONAN MAGILL “In Memoriam Titanic April 1912”, SCHUBERT-LISZT two Lieder, SCHUMANN-LISZT “Liebeslied”, LISZT “La Leggierezza”, LISZT ‘Dante’ Sonata from Annees de Pelerinage – Italie. Rags to Riches – a centenary celebration of Scott Joplin ragtime and its influence on 100 years of popular music from this exemplary local self-confessed ragtime junkie. Angela has been described as ….”one of the world’s finest pianists….” by the New York Times. For us at Tincleton Gallery she will be playing BEETHOVEN Sonata in C major Op. 2 no. 3.; CHOPIN Fantasy in F minor Op. 49.; DEBUSSY Preludes – Feuilles Mortes & Feux d’Artifice. ; BEETHOVEN Sonata in F minor Op. 57 “Appassionata”; CHOPIN Andante Spianato and Grand Polonaise Op. 22.; DEBUSSY Preludes – La Fille aux Cheveux de Lin & Ce qu’a vu le Vent de L’Ouest. Wessex Piano Quartet : Catrin Win Morgan (violin), Stephanie Chambers (viola), Sally Flann (cello) and Duncan Honeybourne (piano). The programme will include Faure’s Piano Quintet. 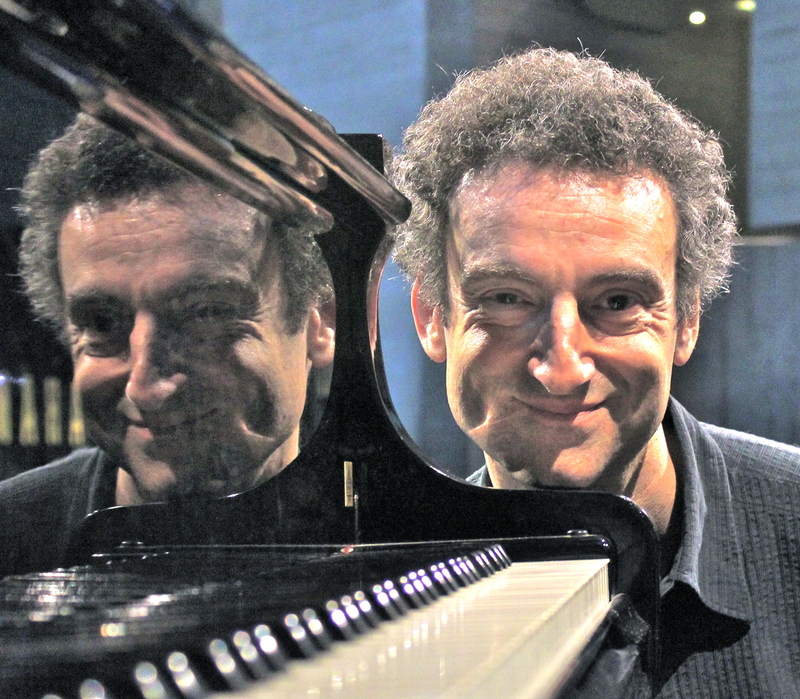 Friday 25th + Saturday 26th November: John Law solo piano with special guest Nick Sorensen (saxophones) : Two evenings of music drawing from the two worlds of jazz and classical. 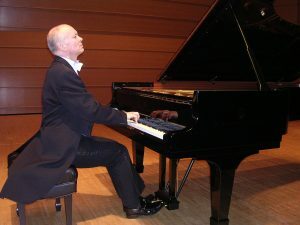 John Law, a prize-winning classical prodigy on piano, turned away from classical piano studies to pursue jazz and improvised music when he was 23 and has been involved in, and acclaimed for, his work in a wide variety of contemporary jazz projects: from solo piano concerts and albums through trio and quartet tours and recordings, right through to large scale works for his semi-classical ensemble Cornucopia. 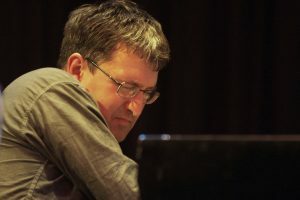 He has played at over fifty festivals worldwide and recorded over thirty albums, working with musicians as diverse as Gwilym Simcock, Andy Sheppard, Jason Rebello, Tim Garland and Evan Parker. John’s main projects currently are his acclaimed trio/quartet Congregation, which has toured all over Europe, appearing to stunning audience acclaim in concert halls, clubs and at festivals such as the North Sea jazz Festival (Rotterdam) or the Queen Elizabeth Hall, London, at the London Jazz Festival, as well as solo piano projects, his electric project Boink! which combines electric keyboards, guitar, saxophone and drums with electronic music soundscapes and live, interactive visual backdrops and Goldberg, his recreation, with added visuals, of Bach’s original work. The spontaneous feeling of improvised music but turned into compositional ideas that develop free flowing improvisations (see below for more details) . Mark Springer is a pianist and composer who has been playing professionally and performing since his teens when he formed the groundbreaking Rip Rig + Panic, a group that also included former members of The Pop Group and lead singer Neneh Cherry. 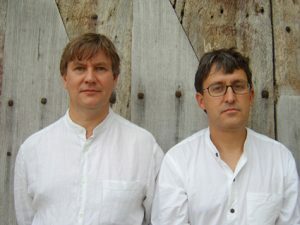 When they split in 1983 after three years together, the renowned music critic Richard Williams commented in The Times that “their too-brief career will not have been in vain if it has served at least to launch the pianist Mark Springer”. Subsequently releasing several solo albums for Virgin prior to setting up The Exit Label he has spent his career developing a distinctive sound world that combines his skill and virtuosity at the piano with an ability to write music for piano and orchestra, string quartets, opera and many other combinations of instruments. He partnered on his last CD “Aparat” with the Penguin Cafe Orchestra’s Arthur Jeffes. In the two concerts Mark Springer will “capture the spontaneous feeling of improvised music but turned into compositional ideas that develop free flowing improvisations”. 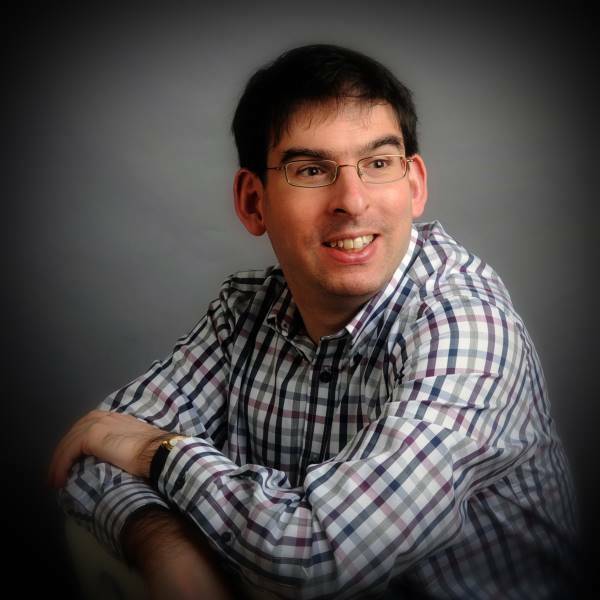 This will be a solo piano concert by Ronan Magill. This will be a duet of Ronan Magill (piano) and Lisa Izumi (violin). 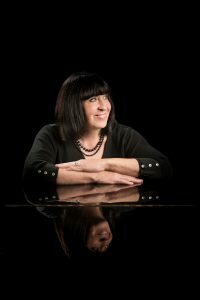 This well known duo of international concert pianists Katharine Lam of the Birmingham Conservatoire and the concert soloist Duncan Honeybourne coming to us in one of their most intimate venues. The programme will include Suite For Two Pianos by Rachmanninof and duets by Constant Lambert (Trois pieces sur les touches blances) and John Joubert (Divertimento), plus Mendelssohn. Solo pieces may vary on the two evenings. Includes one glass of wine & nibbles. he programme will be a mixed bag of Xmas songs, including a touch of the pagan Wassails, a good mix of Christian Christmas songs (though no carols, thank’ee), and a few of the old-ish popular Christmas songs from musical theatre. Fund raising raffle for Julia’s House charity. Includes one glass of wine & nibbles. Katharine Lam & Duncan Honeybourne: two pianos, duets and solos, to include Faure, Rachmaninov, and Arensky by this well known duet of concert pianists. Ronan Magill: Beethoven, Bach, Scriabin, Chopin, Magill. Izabau Rothman (violin), Martin Weston (baritone), Duncan Honeybourne & Richard Hall (pianists) : Mendelssohn, Franck, Dowland, Purcell, Cornelius, Britten. using the contact form to discuss your ideas.